Nothing is working, I can only seem to find my server in LAN.. Any ideas? The setting on the image appears to be Port Triggering and it is useless for creating a server. Port Forwarding is the function you're looking for. Sometimes also called Virtual Server. Plz, try to tell exactly whats happen. I think there is no real Problem. Only one "little" step to do ! Pipe the ports to an internal fixed IP, dont use dhcp. Give a internal ip to your Servermaschine like 192.168.1.60 and pipe the udp to this ip. Is that other words for a Static IP? 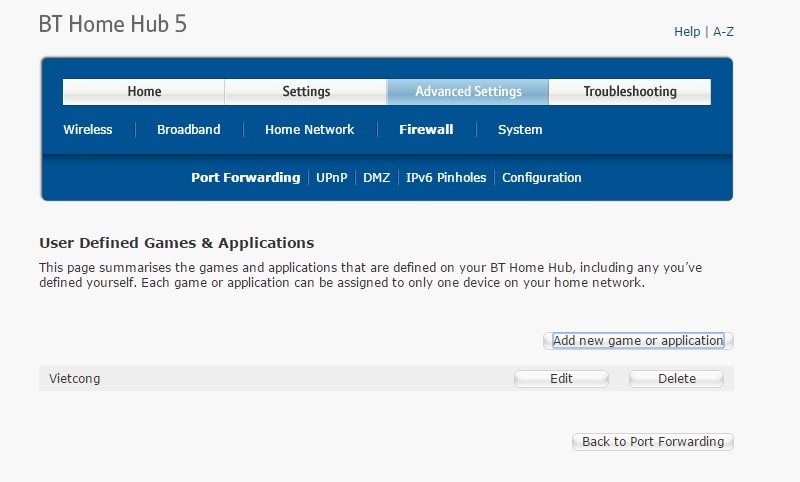 How do I change my local IP?